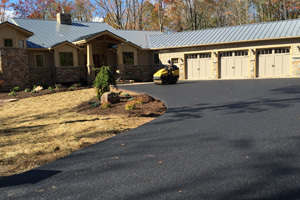 Residential applications of bituminous asphalt paving can vary from driveways, basketball courts, tennis courts, walkways, patios, drainage swales and more. From a new construction paved driveway to driveway replacement or removal we provide complete paving services. 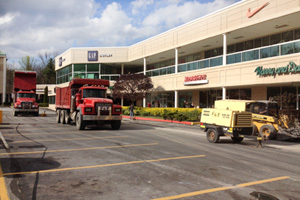 Commercial asphalt paving applications may include parking lots, loading docks, right of way improvements, golf carts paths, tennis and basketball courts. Our business clients include countless local business, schools, water parks, places of worship, community associates, hospitals and non-profits. 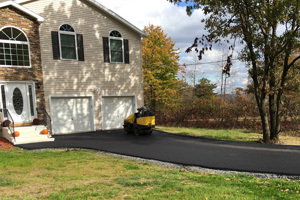 As a local leader in asphalt maintenance paving services for homes and businesses, we provide services including New Paving, Removal & Replacement of Pavement, Pavement Restoration, Crack Sealing, Seal Coating & Line Striping and Maintenance.